A light and healthy entree that will satisfy your hunger! Cook and stir chicken and 1/4 cup of the dressing in large skillet on medium-high heat 4 minutes or until no longer pink. Add broccoli, onion, red pepper and parsley; cook until tender, stirring occasionally. 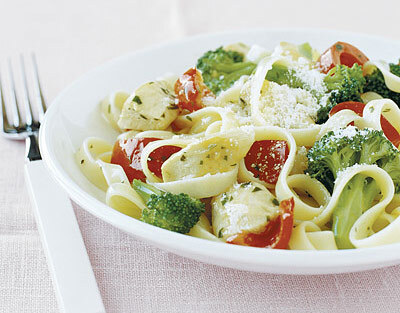 Toss with pasta and remaining 1/4 cup dressing. Sprinkle with cheese.